Yvonne gained a BA Hons degree from Central St Martins in Fine Art. She continued her post graduate studies here and went on to qualify in Adult Education. Yvonne exhibited regularly in London and the surrounding areas. 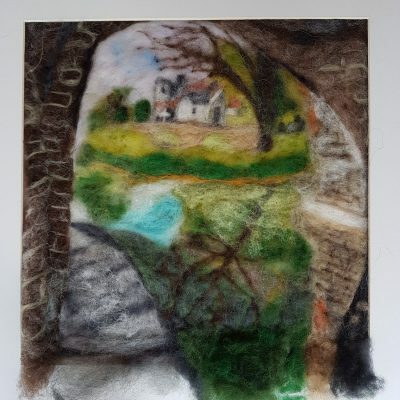 On moving to the Cotswolds, with its rich history of the woollen trade, she became interested in using wool and dry needlefelt as a medium for expression. 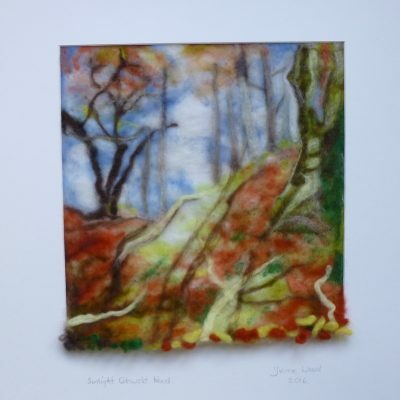 Her work explores the soft textures, subtle blends of the wool combined with bold, bright colours with shimmering light effects. 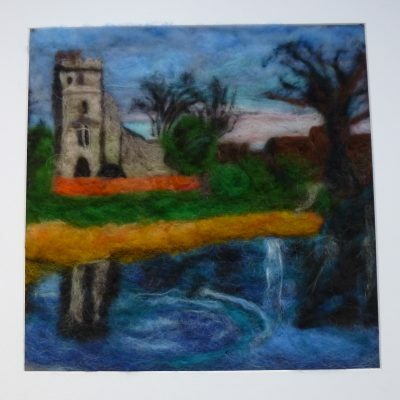 Yvonne works from life, taking photographs to translate into dry needlefelted landscapes. The autobiographical works have a three dimensional quality, and record her time, in the Cotswolds and travels abroad, encapsulating those special memories.